Flat roof contemporary home in an area of 4133 Square feet (384 Square Meter) (459 Square Yards). Designed by Haris Mohammed, Kasaragod, Kerala. Ground floor area : 2542 Sq. Ft.
First floor area : 1314 Sq. Ft. Car porch area : 277 Sq. Ft.
Total Area : 4133 Sq. 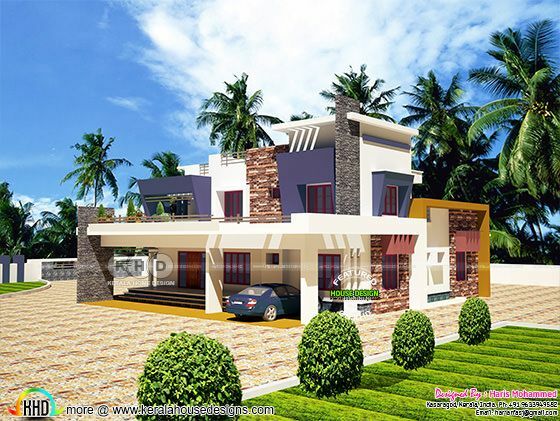 Ft.
0 comments on "Flat roof contemporary 5 BHK home"